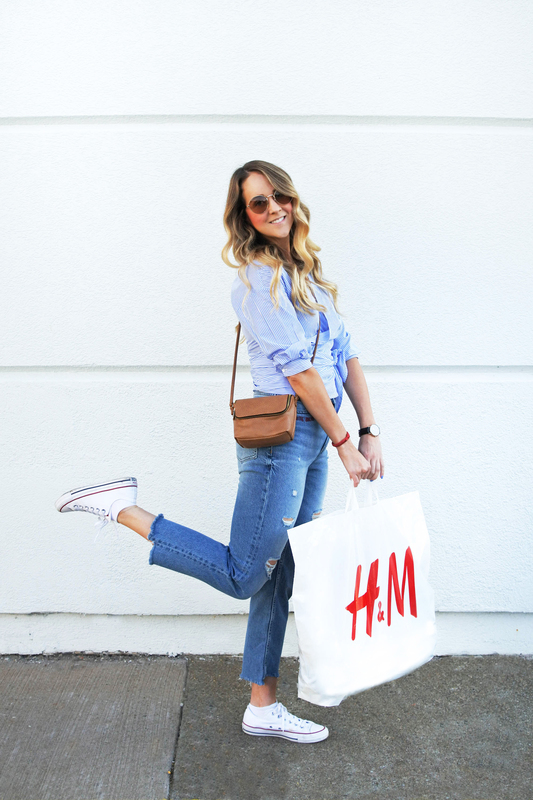 How excited are we that a two level H&M is opening at Halifax Shopping Centre! EEP!! Set to open on the upper level of HSC on July 27th (11am) us Haligonians are ba-nanas for this bigger and better store! Currently H&M has 84 stores in Canada and come Thursday they will have 85! 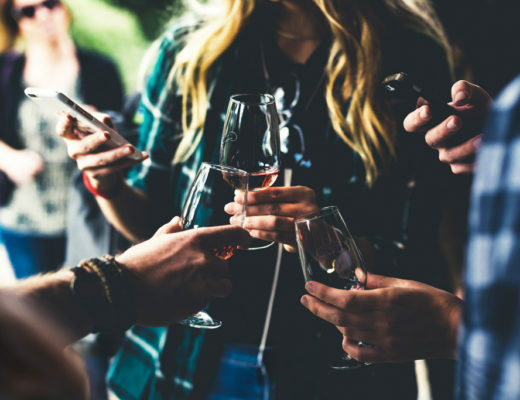 With a DJ set to drop some sick beats and major deals lasting all weekend long: it’s basically going to be one giant party! SO naturally I had to create a little blog post to celebrate! I mean any excuse to go shopping right? 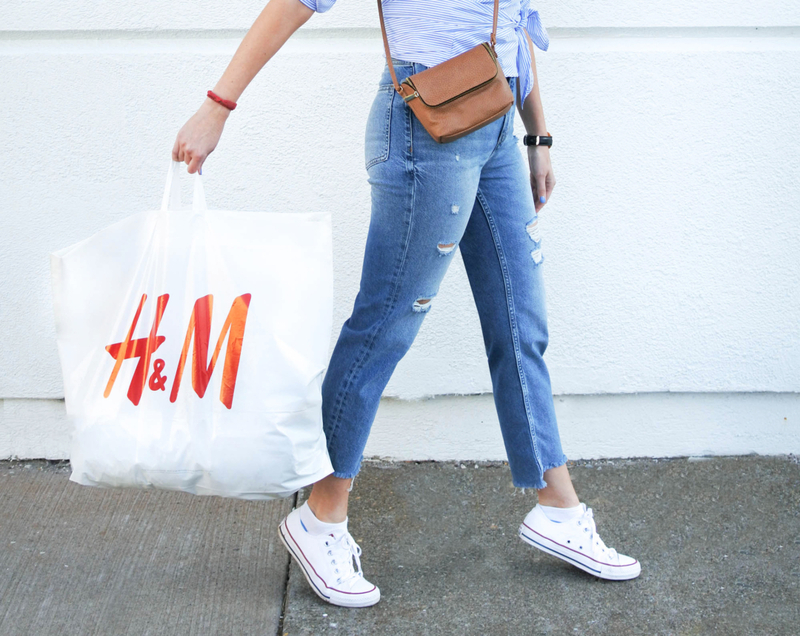 Featured Items: Jeans (size up), Top, Sunnies, and Bag c/o H&M. H&M first entered the Canadian market in 2004. Today there are 83 stores nationwide. 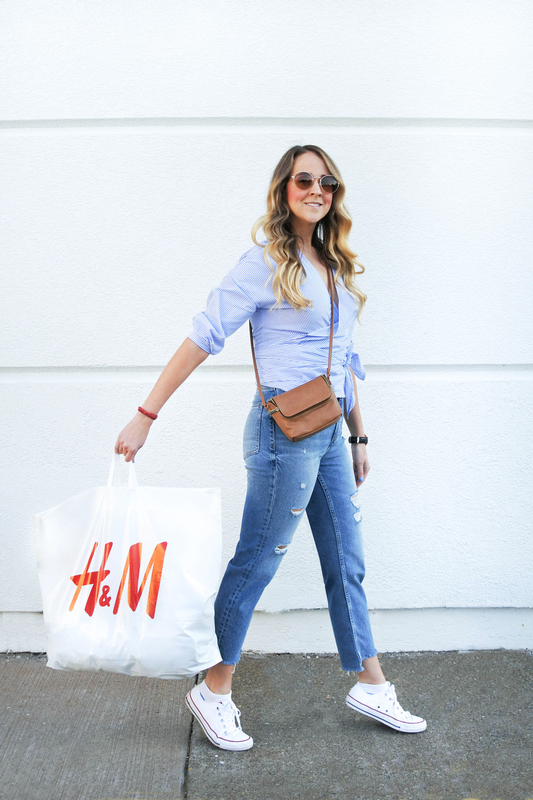 Through its stores, H&M offers a broad product range including the latest trends, and inspiration for customers to create a personal style. 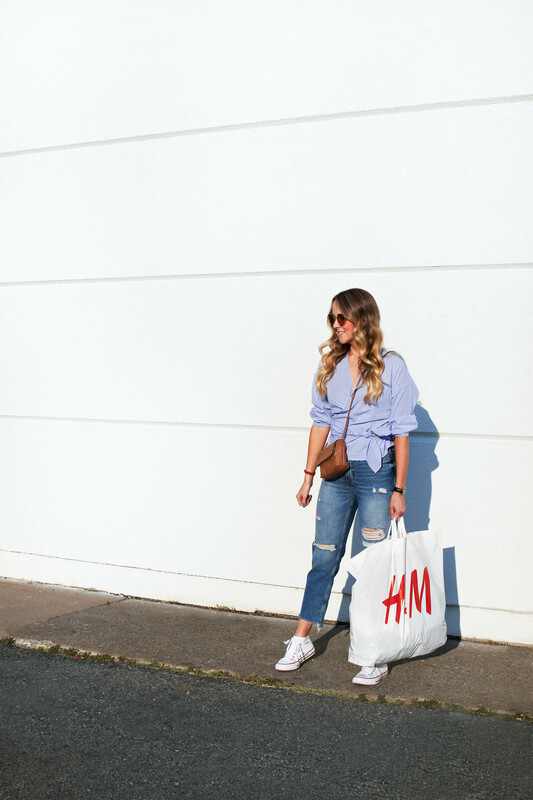 H&M’s stores are refreshed daily with new fashion items and the promise of delivering fashion and quality at the best price in a sustainable way. Store offically opens it’s HSC doors at 11:00 am July 27th. The 1st 300 people in line will receive an “Access to Fashion Pass” valued up to $300 to which they could apply to their opening day purchase. * (Values range from $10-$300). Opening will include a live DJ, and plenty of sales and promotions all weekend long! The two level store will carry fashion for ladies, men, teens and kids! 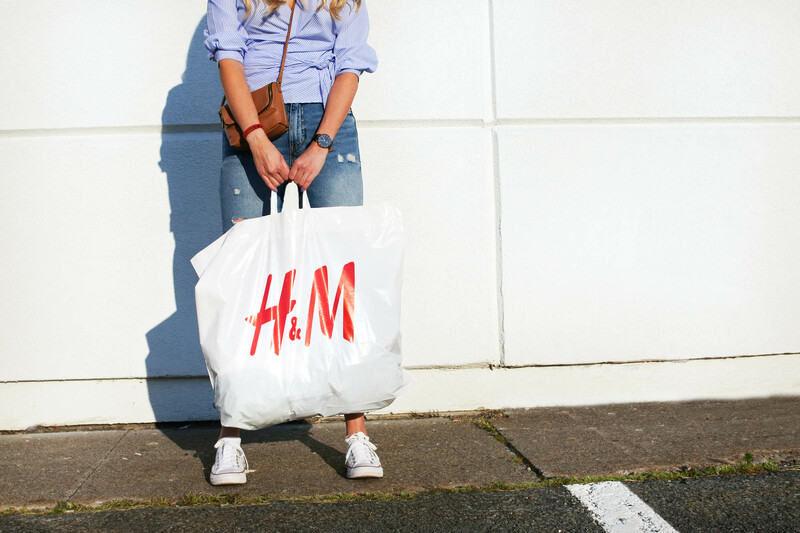 Special for opening day when you bring in a bag of unwanted garments or home textiles (from any brand, in any condition) you’ll be entered for a chance to win 1 of 5 $50 gift cards from H&M! – The latest fashion news! – Inspiration and styling tips! *Offer valid for new subscribers only. Certain Restrictions Apply. 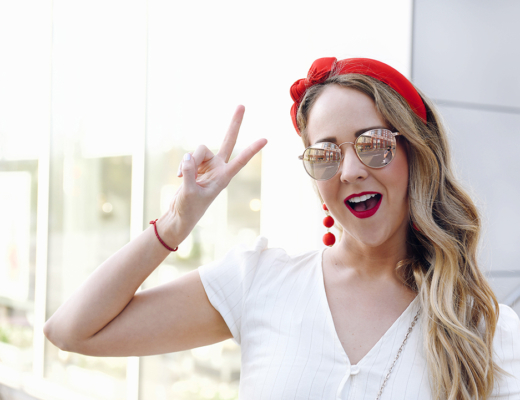 As part of my H&M Ambassador duties I also popped over to CTV and shot this super fun segment to share some summer event looks! Catch the segment by clicking here! *This post was sponsored by H&M, however all opinions expressed are my own. I’m so pumped for this! I LOVE H&M. Favourite place to buy clothes for me AND the kids.